Safe Fourth of July Everyone! As I write this, I’m sitting here looking out my window at my summery flower garden! Things are really starting to bloom and the colors are profuse. My favorite view. Many red geraniums look great with the small American flags I put out in the flower pots, and along the flower beds every year at his time! While it’s a pretty view, it’s filled with sadness this week because on Monday I had to put down one of my Shepherds. He was a rescue, and had been my very first foster. He was adopted three times and returned three times. I finally got the memo that in HIS mind, he’d already found his perfect home. Every time I delivered him to his new adoptive family, and came back home without him, my female shepherd (also a rescue) would look at me like . . . . “where is he?” “What have you done with my friend?” To say they were a bonded pair is an understatement. She did the same thing Monday afternoon when I came back from the vet’s office, and is still searching the house for him. I think the last time I cried this much was during my divorce process. Since that was ten years ago, I’ve been storing up alot of waterworks. One of the flower beds has white iris blooming – they were from my grandmother’s garden originally, then transferred to my mother’s garden, then to mine. When I receive his ashes, they will go there, and also down by the river below the house where my pair loved to walk. It’s a huge loss, and a hole in my heart. Having a husband walk out on you forces you to make many changes; there is such turmoil and unhappiness and loss that you have to figure out how to live with. It’s like a shot gun blast to the gut and it takes a long while sometimes to put all those pieces of yourself back together. You think you will never feel normal again, but you will. I now have a freedom that I never experienced before – a freedom to be “me”. What I’m realizing now is that while I was grieving in 2006-2007 after the loss of 30 years of marriage, what I was losing was a person who put conditions on his affections. Losing my big ol’ goofy boy Blanco is losing an UNconditional love. Even when I fussed at him, he would look at me with such gratitude for saving him from the streets as a stray. I have appreciated this week that he was the one that did the saving. He saved me, he put his paw print on my heart and brought such healing to my soul. Both of my Shepherds have done that – given me their unconditional devotion and affection. If you have pets, you probably understand exactly what I’m talking about. I only got to have B in my life for 8 years, but those have been some of the best years of my life. We grew in confidence together, we gave each other purpose and unconditional love. So these next days while we as a nation celebrate the birth of our great country, I will also be celebrating the birth of my new “post divorce” life and how much I’ve grown in the past ten years. 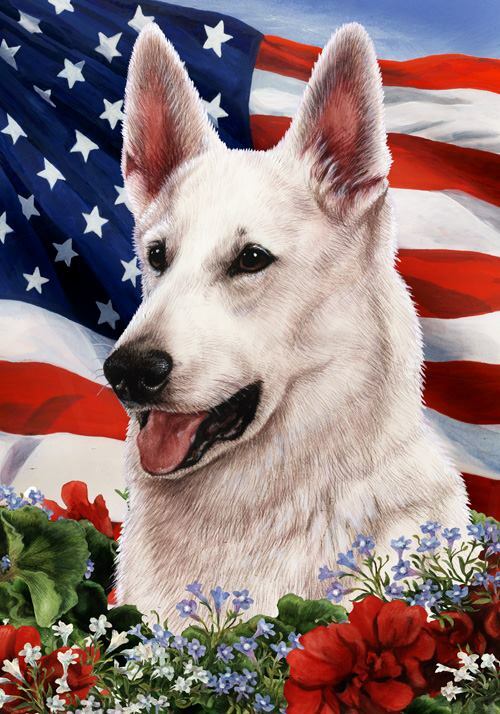 I will be thankful for my freedom, and thankful for the love I was offered by a 100 pound white giant of a dog – who will forever remain in my heart. Hope you had a beautiful 4th and look forward to your next blog post. Hi Denise – I do not believe you have ever written before, but what a pleasure to get your kind note this morning! Sounds like you know exactly how it feels to lose a special pet. He was a character, and leaves a big hole in our hearts. That Ringo, he taught me alot. He certainly improved the strength of my “leg”, LOL!! Once you got him going, he was perfect – it was just getting him convinced that he wanted to work. : -) Hopefully your daughter found a good match. Ringo went to a great home with a former trainer and a teen who figured out his buttons!! I do miss him tho’, he had a great personality and a good smuggler. So sorry for you loss. He had a great life. Please remember that you saved him also. Blanco was a very special dog. Beautifully written….my heartfelt condolences to you.